Width (side to side) 18"
Height (bottom to top) 52"
This bookcase is a classic example of simplistic and traditional storage. Feature simple square feet, arched front bottoms and four open storage shelves this bookcase is a perfect organizational tool and space saver for your youth’s bedroom. 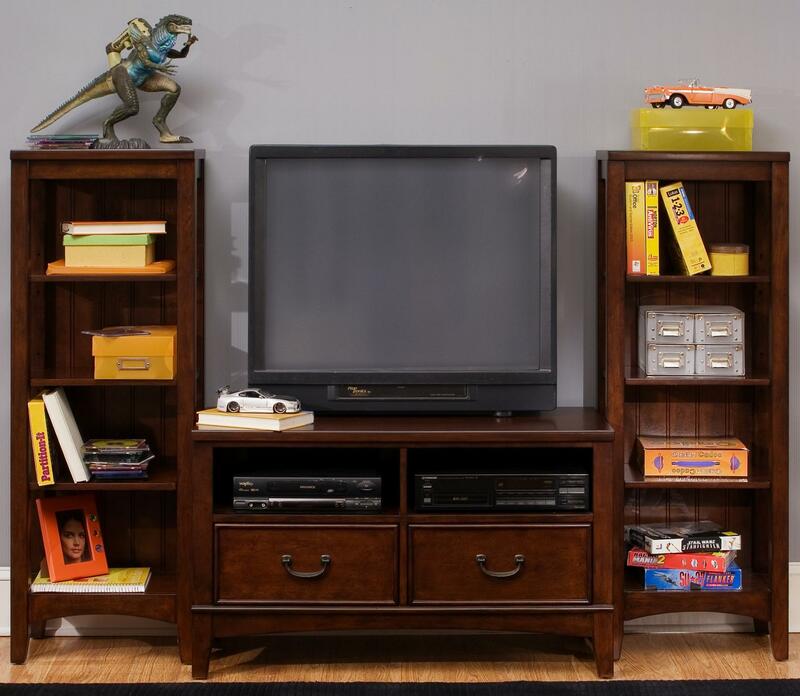 Use just one bookcase for the right corner, or use two in order to bookend the bookcase bed or media chest, to create a wall unit and extra storage space. 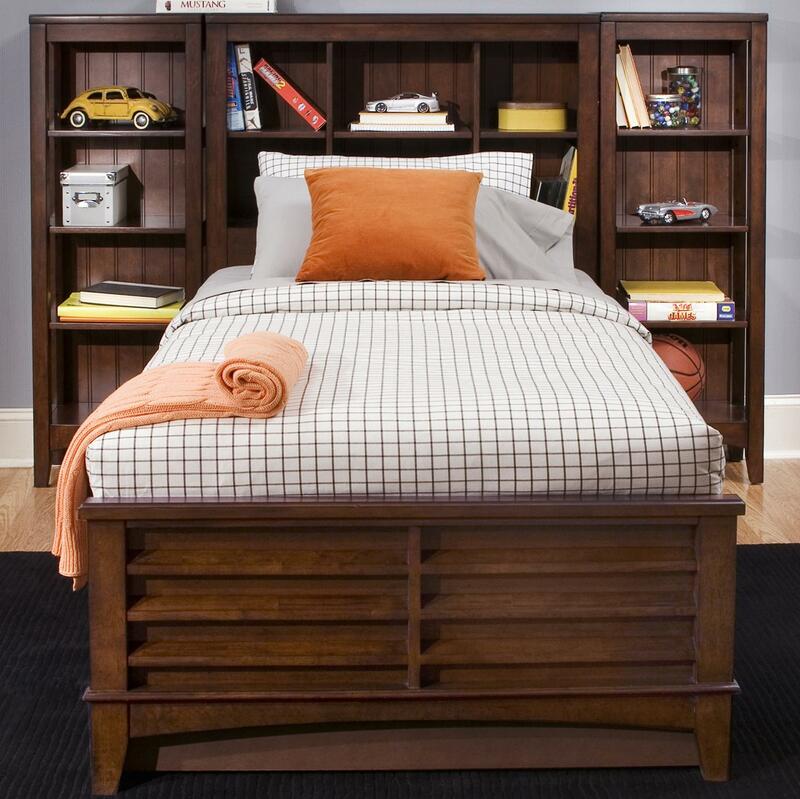 This bookcase coordinates perfectly with any of the matching bed options and the student desk and hutch for a warm, stylish, and functional youth bedroom.